Take advantage of our limited time offer and receive $1,000 off accommodation fees! Simply stay for a minimum period of 3 months to qualify. Your accommodation fees will be reduced by $1,000 on the fourth month. The regular monthly rate will apply for subsequent months. Promotion available until February 1, 2018. Move to Sunset Cove where you can relax, make friends and enjoy many social activities. 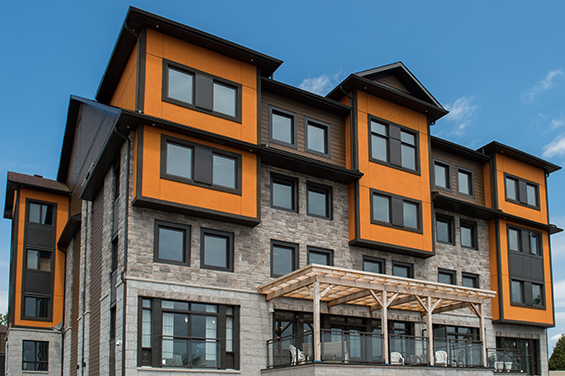 Be pampered in a comfortable, modern and secure retirement home, while looking out over the St. Lawrence River and watching the sunset.